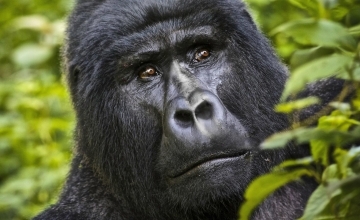 The 13 Days Uganda Rwanda Gorilla Wildlife Chimpanzee & Cultural Safari is a perfect blend of the above aspects featured in both Uganda and Rwanda. The encounter of Kampala and Kigali gives you an opportunity to make a travel comparison between these two cities while the wildlife experiences in Akagera National Park Rwanda and Queen Elizabeth National Park Uganda offers a range of game including tree climbing lions, elephants, leopard, Antelopes, buffaloes, zebras among others. The Chimpanzee trekking in Kibale National Park and gorilla trekking in both Bwindi and Volcanoes National Parks offers a perfect ground for primate encounter in the region. Day 12 of the 13 Days Wildlife Chimpanzee Cultural & Gorilla Tracking in Rwanda and Uganda: Do morning game drive & transfer to Kigali city. After breakfast at your place of stay, embark on the city tour of Kampala which is very rich in religious, cultural, historical and geographical landscapes. The city encounter takes you through the main worship centers including the Baha’i temple which is the only temple of the Baha’i faith in Africa, the Gadhafi mosque which is the second largest in Africa, the Namirembe and Rubaga cathedrals for Anglican and Catholic denominations respectively, Hindu temple and the Namugongo Martyrs shrine where the Uganda martyrs were burnt alive on the orders of Kabaka Mwanga of Buganda in 1885. The historical sites like the Amin’s torture chambers, cultural sites like the Kabaka’s palace, the Kasubi royal tombs, Kabaka’s lake and the National Museum and monuments also offer a great encounter in Kampala city. You can also opt to visit local markets of Owino, Nakasero, Kalerwe and Wandegeya or the educational institutions like Makerere University which is the best in the whole of the East African region. Due to the distances involved between these attractions anfd their numkers, they may not all be visited in a single day. Thus, you will need to prioritize those that should not be missed before retiring for overnight. Day 2 of the 13 Days Wildlife Chimpanzee Cultural & Gorilla Tracking in Rwanda and Uganda: Transfer to Kibale Forest National Park & do crater lake hike. Wake for an early breakfast after which you will transfer to Kibale National Park 358km about 7 hours’ drive. You will traverse the lush country side dotted with varying geographical landscapes including inselbergs, deep valleys, and steep sided hills among others with settlements of the local people. You will have lunch en route and upon reaching Fort Portal, you will continue to visit the Amabere caves and do Crater Lake hike. The Kyeganywa hill gives an impressive all round view of the crater laker lakes and hollows in the area and the sights of Mount Rwenzori at a distance. Retire for dinner and overnight. You gather at Kanyanchu tourism center to start up with short briefing about the Chimpanzee trekking conduct at 08:00am after which you will head to the forest of Kibale full of birds, 13 species of primate, amazing flora and fauna including forest elephants. The search is for the common chimpanzees – one of man’s closest relatives. Upon encountering them, you will marvel at their physical make up particularly the facial structure that is much correlated with that of man, their pant hooting calls, their playful tactics and the way they swing from branch to branch and from tree to tree that will lure you to use up your camera space unknowingly. The full one hour encounter will allow you maximize this experience. Return from this 2 – 5 hour activity and transfer to Bigodi wetland for eco-tour encounter. The community of Bigodi is gifted by a natural wetland with birds like Rwenzori Turaco, animals like Sitatunga and amazing flora which is greatly used in craft making which makes the Bigodi encounter rewarding. The visit to the local healer and a local school gives you the taste of the societal setting. Return to the lodge for dinner & overnight. After breakfast, embark on the transfer to Queen Elizabeth National Park 157km about 4 hours’ drive from Kibale. 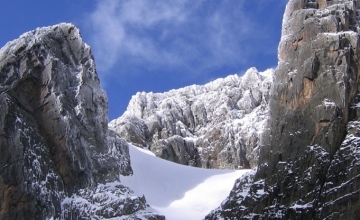 You will drive through the amazing scenic landscapes of Rwenzori Mountains rising above the snowline with Margarita peak standing at 5,109m above sea level. You will arrive in Queen Elizabeth early for lunch and short relaxation after which you will embark on the drive to the crater are to encounter the magical scenic offerings of the explosion craters that lie in form series surrounded by impressive terrain that is fancied by wildlife especially elephants. You can also use that evening to visit the salt lake (Katwe) to explore into the process of salt formation, extraction and processing. Retire for overnight. Wake up early enough to depart for a game drive at 06:00am to catch up with early risers and night hunters getting back to their hiding places including Hyenas, owls, side stripped jackals among others. You will drive through the Kasenyi tracks to enjoy the sights of wild game including elephants, lions, buffaloes, antelopes among others though they are not guaranteed. You will return from this 3 – 4 hour activity for relaxation and lunch after which you will gather at Mweya to catch up with the launch cruise on Kazinga Channel at 03:00pm. The 2 hour boat cruise will expose to a range of aquatic animals including Hippos and Nile Crocodiles which is the second largest reptile in the whole world. Wild game drinking on the channel side including elephants, Antelopes and buffaloes and abundant bird life will make your launch trip on the 45m long Kazinga channel memorable. Retire for relaxation and overnight. Accommodation: Gorilla Forest Camp (Upmarket/luxury), Engagi Lodge (Midrange/standard) or Buhoma Community Rest Camp (Budget/Basic). After breakfast, embark on the transfer to Volcanoes National Park 236km about 7 hours’ drive from Buhoma. 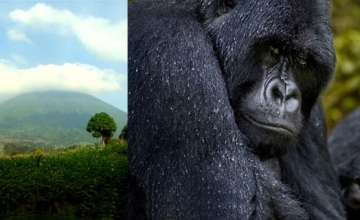 You will drive along the eastern side of the Bwindi Impenetrable National Park before being welcomed by the magical views of the Virunga Volcanoes that form a natural boarder of Uganda, Rwanda and Democratic Republic of Congo. You will arrive in Ruhengeri in the late afternoon for dinner and overnight. After breakfast, embark on the transfer to Akagera National Park – the largest protected area in Rwanda which lies in the eastern boarder of Rwanda adjacent to Tanzanian plains. You will drive through the farmed hillsides of Rwanda whose landscape has given Rwanda the name of the land of a thousand hills. The journey is 246km about 5 ½ hours’ drive excluding stops en route. You will drive through the city of Kigali to have an encounter of the air of the urban environment before continuing to the wilderness of Akagera full of wild animals. You can relax for lunch in Kigali before continuing to arrive in the afternoon for relaxation and overnight. Accommodation: Akagera game Lodge (Upmarket/luxury) or Ruzizi Tented Lodge (Midrange/standard) or Dereva Lodge (Budget/Basic). Wake up early to embark on morning game drive departing at 06:00am in search of a range of African game as they start off their day with in the rolling plains that are covered with impressive savannah combretum. Wild game include; elephants, giraffe, buffaloes, waterbucks, elusive leopard among others. Return to the lodge for relaxation and lunch after which you will have a boat cruise on Lake Ihema in the afternoon. You will enjoy the sights of Hippos and Nile crocodiles and Hippos. The water birds thrive in the marsh that stretches along the Akagera river line system. Retire for overnight. After breakfast, embark on a long game drive that stretch up to Mutumba hills that will give you rewarding views of the Akagera plains and the plains of Tanzania. The wild game of Akagera is better seen along this drive. After this activity, you will embark on the transfer to Kigali city for relaxation and overnight. After breakfast, embark on Kigali city tour where you will encounter the Gisozi genocide memorial to pay tribute to thousands of Rwandese who lost their lives in the 1994 Rwandan genocide. You can also visit the Presidential Palace Museum where the remains of the FALCON 50 presidential plane in which genocide president Juvenal Habyarimana lost his life lie within the compound. You can also visit the natural history museum formerly the Kandt house which contains a lot of collections about the environment of Rwanda. Richard Kandt was a German explorer who explored Rwanda and he set the first building in Kigali city in 1903. The tour to the craft centers, Art studios, down town Kigali, Remera Heroes Cemetery where the graves of the former Rwandan Heroes including Maj. Fred Rwigyema who led the 1990 Rwanda Patriotic Front Invasion over Rwanda. You will have lunch in Kigali city and you will retire in the evening to mark the end of your safari.